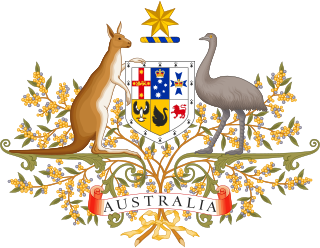 The National Archives of Australia is an Australian Government agency that collects, preserves and encourages access to important Australian Government records. It describes itself as the memory of the nation. The Archives’ collection of 40 million items traces events and decisions that have shaped the nation and the lives of Australians. Visitors are welcome to explore the collection, online or in person. Established under the Archives Act 1983, the National Archives reports to its Minister, the Attorney-General. Like all government agencies, it is accountable to the Australian Parliament. The National Archives of Australia Advisory Council provides advice to the Minister responsible for the Archives and the Director-General. to promote good information management by Commonwealth government agencies, especially in meeting the challenges of the digital age. In addition to caring for its collection, the National Archives develops exhibitions, publishes books and guides to the collection and delivers educational programs. The National Archives of Australia national office on Queen Victoria Terrace in Canberra. After World War I the Commonwealth National Library (later National Library of Australia) was responsible for collecting Australian Government records. The library appointed its first archives officer in 1944. In March 1961 the Commonwealth Archives Office formally separated from the National Library of Australia and was renamed as the Australian Archives in 1975. The Archives Act 1983 gave legislative protection to Commonwealth government records for the first time, with the Australian Archives responsible for their preservation. The agency was renamed the National Archives of Australia in February 1998. Eastern facade of the current home of the National Archives of Australia, 2009. The National Archives of Australia’s collection of 40 million items covers records pertaining to the government of Australia, including Federation, Governors-General, Prime Ministers, Cabinet and Ministers. Among the most popular with the public are defence service and immigration records which often contain valuable family history. The Archives' repositories are not open to the public but items can be requested for digitisation or for viewing in reading rooms. Most records over 26 years old (gradually reducing to 20 years) are released for public access on request. However some have certain information exempted from access. These exemptions may include documents relating to defence and security and sensitive personal information. Cabinet notebooks have a longer closed period, gradually decreasing from 50 years to 30 years by 2021. Access to items of cultural sensitivity to Indigenous Australians may also be restricted. World War I and World War II service records. Some 376,000 service records for men and women who served in World War I have been digitised and are available online at the Discovering Anzacs website. copyright, patent and trademark registration records documenting Australian creativity and ingenuity. In 2014, the National Archives of Australia, in partnership with Archives New Zealand, created the digital repository Discovering Anzacs to commemorate the centenary of World War I and each nation's role in the war effort at home and abroad. The repository features the complete and fully digitized service records of the Australian and New Zealand Army Corps (ANZAC). Service records are also displayed geographically on a map of the world to indicate each individual's place of birth, enlistment, death and burial. Users are encouraged to transcribe the official records to improve access and add personal comments, photos and stories to give greater context to each record. On October 27th, 2015, the National Archives of Australia announced its Digital Continuity 2020 program to modernize the information management practices of the government for the digital age. The policies of Digital Continuity 2020 issued by the authority of the National Archives apply to the whole of the Australian government and seek to improve efficiency and access of all services. Deadline 2025 is a collaboration between the National Archives of Australia and the National Film and Sound Archive to prioritize digitization of valuable media stored on magnetic tape which may deteriorate to the point of being unusable by 2025. In 2014, the National Archives of Australia announced its Reconciliation Action Plan (RAP) to foster better relations with its indigenous population, the Aboriginal and Torres Strait Islander peoples. The RAP is a multifaceted approach to drawing attention to the history of Aboriginal and Torres Strait Islander peoples, engaging and illustrating their culture respectfully, and providing improved access to their historical records. A main feature of this initiative is the Bringing Them Home name index which leverages the National Archives' collection of records to facilitate genealogical research for Aboriginal and Torres Strait Islander peoples. The National Archives also seeks to have 3% of their workforce be those who identify themselves as indigenous to foster diversity and increase representation in the archival profession. The Archives’ National Office is in Canberra. It has temporarily been relocated to Old Parliament House until the end of 2018 when it will return to East Block. In 1998 the Canberra reading room, galleries and public areas of National Archives moved into a heritage listed building East Block in the Parliamentary Triangle. The building, one of the national capital's original offices, was built in 1926 beside the Provisional Parliament House. Over the years East Block housed various government departments and served as Canberra's first post office and telephone exchange. On Friday, June 9th 2017 (International Archives Day), the National Archives of Australia officially opened the new, purpose-built National Archives Preservation Facility in Canberra, separate from the National Office which houses the reading room and galleries. The building is 17,000 square meters and will add storage for more than 100 kilometers of paper and audiovisual records. On September 21st 2018, the National Archives Preservation Facility was officially renamed the Peter Durack Building after the Hon Peter Durack QC who introduced the bill creating Australia's National Archives in 1983. In 1966, Peter Scott of the Commonwealth Archives Office (predecessor to the National Archives of Australia) developed the Australian Series System (in practice, referred to as the Commonwealth Records Series System by the National Archives) in his paper "The Record Group Concept: A Case for Abandonment". This system represented a change in traditional archival theories of provenance that groups records by the more flexible record series rather than the record group which required all records to be filed under only one creating agency (business, government agency, individual, etc.). The new system recognizes that creating agencies change names, split and dissolve over time and provides a flexible framework to arrange their records across the different agencies which all share the same organizational content. These record series are relational in that they are linked to their historical creating agencies in their various forms to reflect changes in organizational structure over time. ^ "National Archives of Australia National Archives of Australia Advisory Council Annual Report 2017–18". National Archives of Australia. Retrieved 13 November 2018. ^ "Portfolio Budget Statement 2018-2019 National Archives of Australia" (PDF). Australian Government Attorney-General's Department. Retrieved 13 November 2018. ^ "About Us". National Archives of Australia. 17 October 2018. ^ "Selecting National Archives". National Archives of Australia. Retrieved 20 November 2018. ^ "About". Discovering Anzacs. Retrieved 20 November 2018. ^ "Digital continuity 2020 the future of e-government" (PDF). National Archives of Australia. Retrieved 25 November 2018. ^ "Annual Report 2017-18" (PDF). National Archives of Australia. 12 September 2018. Retrieved 25 November 2018. ^ Fricker, David (1 July 2014). "Reconciliation Action Plan 2014-15". National Archives of Australia. Retrieved 25 November 2018. ^ "National Archives Western Australia Office Update". naa.gov.au. 8 June 2018. Retrieved 20 November 2018. ^ "Locations and Opening Hours". www.naa.gov.au. Retrieved 20 November 2018. ^ "Safeguarding the nation's memory". National Archives of Australia. 9 June 2017. ^ "National Archives facility named in honour of former Attorney-General Peter Durack QC". National Archives of Australia. 21 September 2018. ^ "Organising our holdings". www.naa.gov.au. Retrieved 17 October 2018. ^ Scott, Peter (October 1966). "The Record Group Concept: A Case for Abandonment". The American Archivist. 29 (4): 493–504. doi:10.17723/aarc.29.4.y886054240174401. JSTOR 40290645. ^ Cook, Terry (Spring 1997). "What is Past is Prologue: A History of Archival Ideas Since 1898, and the Future Paradigm Shift". Archivaria. 43: 17–63. Wikimedia Commons has media related to National Archives of Australia. The National Archives (TNA) is a non-ministerial government department. Its parent department is the Department for Digital, Culture, Media and Sport of the United Kingdom of Great Britain and Northern Ireland. It is the official archive of the UK government and for England and Wales; and "guardian of some of the nation's most iconic documents, dating back more than 1,000 years." There are separate national archives for Scotland and Northern Ireland. The Australian National Audit Office (ANAO) is the national auditor for the Parliament of Australia and Government of Australia. It reports directly to the Australian Parliament via the Speaker of the House of Representatives and the President of the Senate. Administratively, the ANAO is located in the Prime Minister and Cabinet portfolio. The Australian Capital Territory Government, also referred to as the ACT Government, is the executive authority of the Australian Capital Territory, one of the territories of Australia. The leader of the party or coalition with the confidence of the Australian Capital Territory Legislative Assembly forms Government. Unlike the Australian States and the Northern Territory, the Australian Capital Territory Legislative Assembly directly elects one of their number to be the Chief Minister of the Australian Capital Territory as the head of the Government, rather than being appointed by a Governor or Administrator. The Department of Veterans' Affairs is a department of the Government of Australia, established in 1976, and charged with the responsibility of delivering government programs for war veterans, members of the Australian Defence Force, members of the Australian Federal Police, and their dependants. The Repatriation Commission's Day-to-Day manager is the Department of Veterans' Affairs. Public Record Office Victoria (PROV) is the government archives of the Australian State of Victoria. PROV was created by the Victorian Public Records Act 1973 with responsibility for the better preservation management and utilization of the public records of the State. The High Commissioner of Australia to the United Kingdom is an officer of the Australian Department of Foreign Affairs and Trade and the head of the High Commission of the Commonwealth of Australia to United Kingdom of Great Britain and Northern Ireland in London. The position has the rank and status of an Ambassador Extraordinary and Plenipotentiary and is currently held by former Attorney-General George Brandis. The High Commissioner also serves as Australia's Permanent Representative to the International Maritime Organization, a Trustee of the Imperial War Museum and Australia's Commonwealth War Graves Commissioner. The Australian Customs Service, was an Australian Government agency responsible for Australian border protection, duties and taxes between 1985 and 2009. The Service was first under the portfolio of the Department of Industry, Technology and Commerce from 1985 to 1998 and then the Attorney-General's Department from 1998 to 2009. Phyllis Mander-Jones MBE was an Australian born librarian and archivist who helped establish the archival profession in Australia.